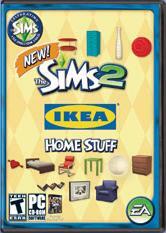 The Sims 2 IKEA Home Stuff is the eighth stuff pack to make its way into the Sims 2 library. Letâ€™s take a look at what this pack has to offer. Starting out in Desiderata Valley I was pleased to see 2 new lots in the bin. 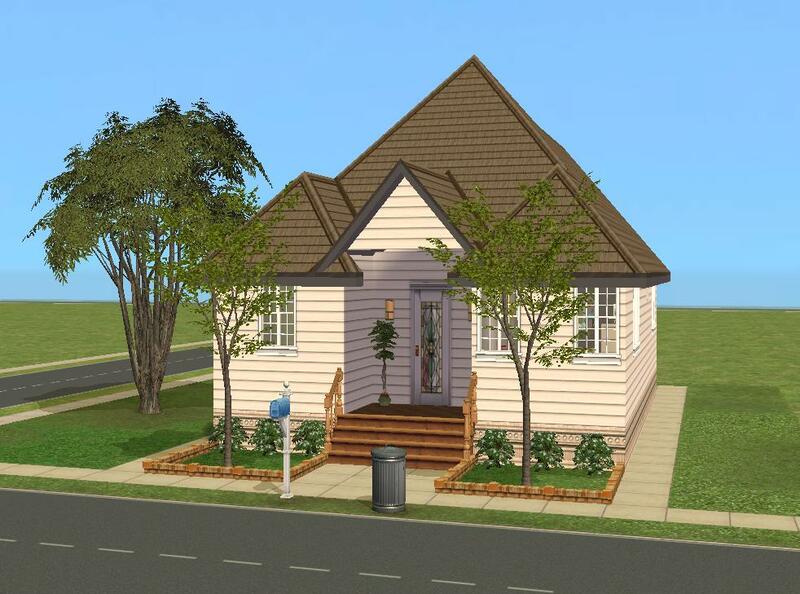 A neighborhood can never have enough homes available for that new Sim family. The first home in the bin is Efficient Edifice. It is a 2 bedroom, 1.5 bath home sitting on a 2x2 lot for Â§32,802. This is a cozy little home perfectly suited for a small family. The layout of the home is simple, yet engaging. The second home is Attractive Abode. This is a 3 bedroom, 2.5 bath located on a 2x3 lot for Â§63,199. 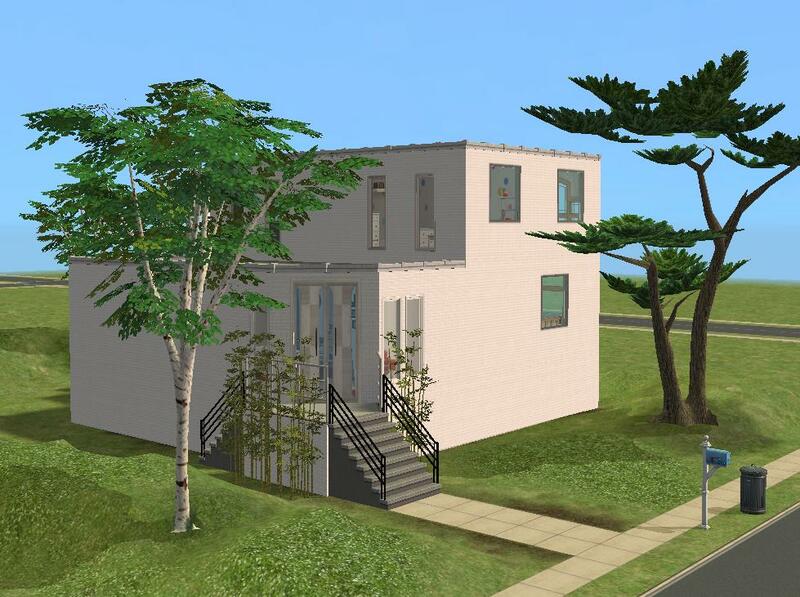 This is a contemporary style of dwelling that is more equipped for a slightly larger family. It is a multi-leveled home with room to add on when the family grows. 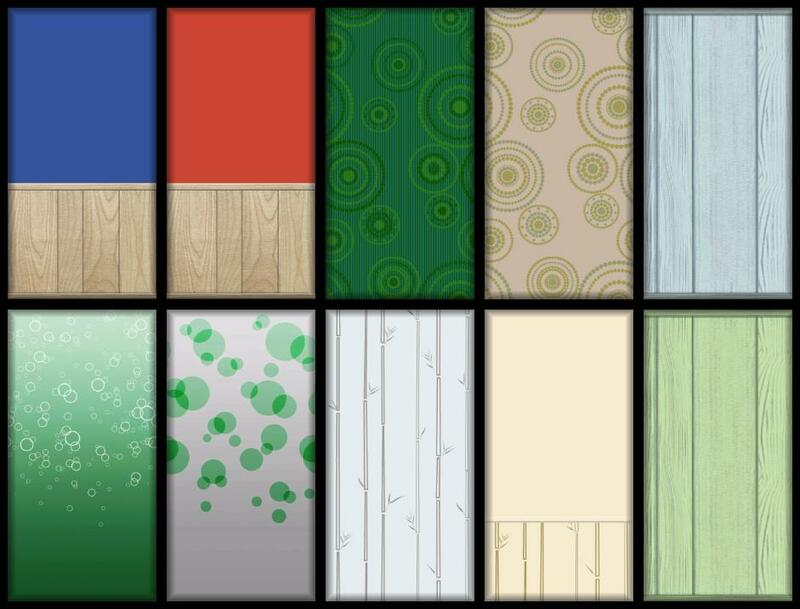 Several new wallpapers and floor coverings made their way into this pack. 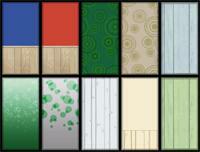 There are 10 new floors, with 2 of them in the "tiles" category and 8 in the "linoleum" section. Nothing to fancy, just good, solid colors. As for the wallpapers, there are 46 new walls. They range from wood paneling in blues and greens, to circular patterns and many others. Let's begin with the living room furniture. There are several new sofas. 5 to be exact, and they come with several recolors. Also there are 4 new chairs. Ranging from cushy-comfort, to desk-style chairs. There is also a new TV entertainment center. It comes in 2 colors, black or white, with red accents. Along with several new end tables, a bookcase, a coffee table, a new item has emerged: a CD/DVD tower. It comes in 3 positions, so decorating will be a breeze. If you are wanting to add a home office, this pack offers a new desk with a filing cabinet. The two fits neatly together. Looking at the new bedroom furniture, 3 double beds and 2 single beds have made their way into this pack. 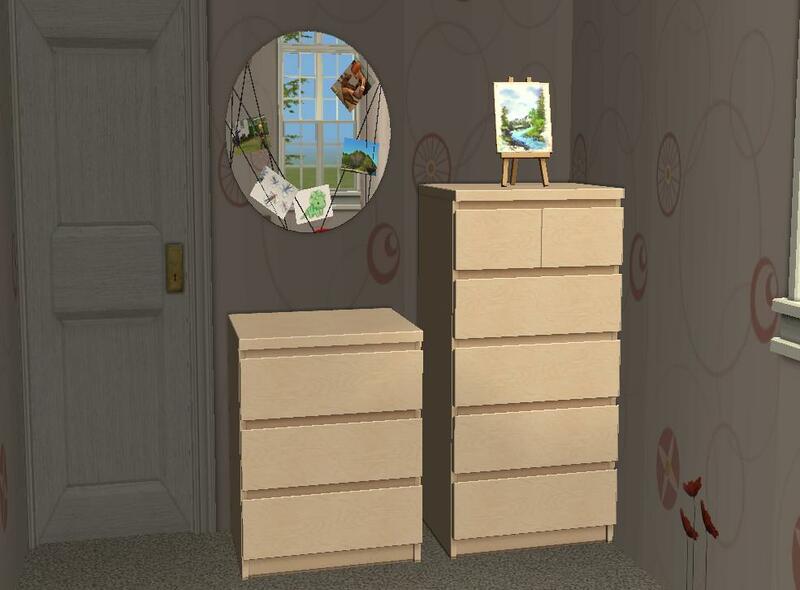 When I looked more closely at the new dressers I noticed that decorative objects can now be placed on them. This is an excellent benefit to the stylish new dressers. Another big addition in this pack is the decorative section. There are new pictures, 6 to be exact, along with a decorative sticker. I found the Poppy sticker (that goes on the bottom of walls) cute, but I would have like to see more colors and designs. There are 5 new mirrors, with one having a picture montage on it. 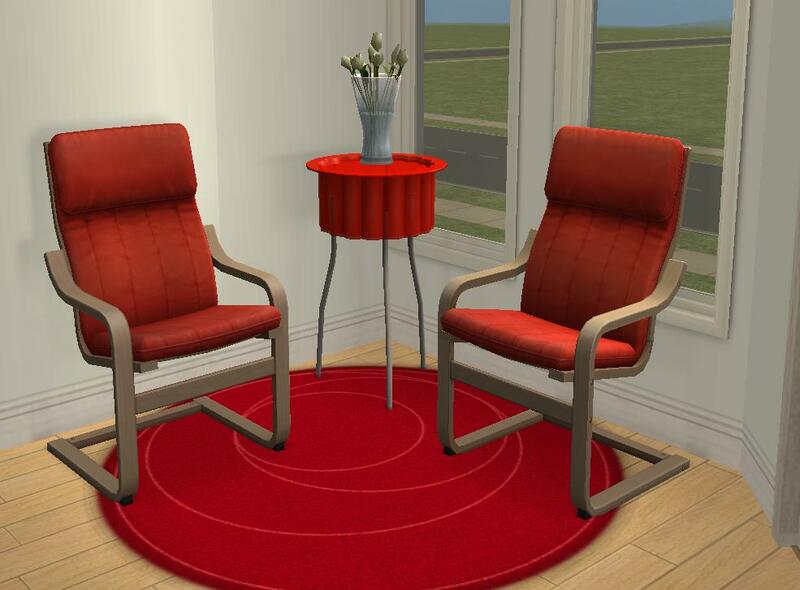 There are 4 new rugs, 2 plants, and 8 new ways to add light to your sims homes. 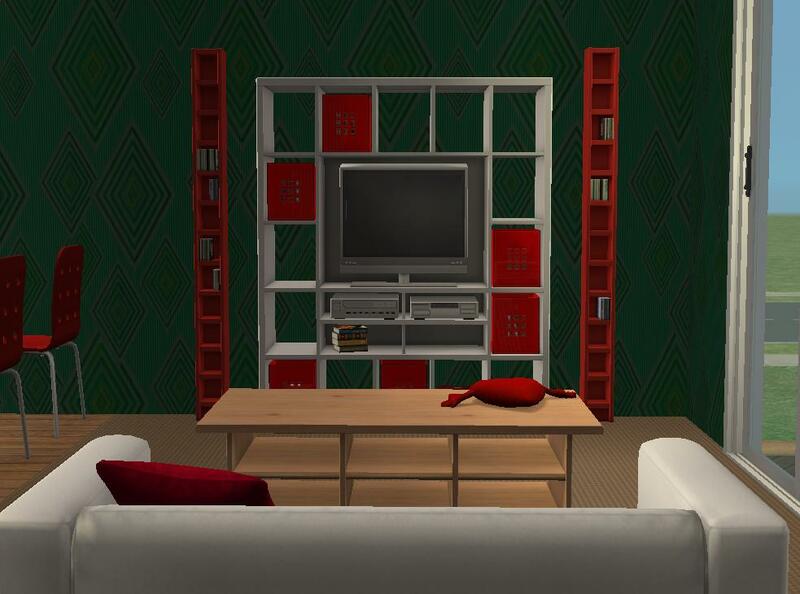 Another nice addition to this pack is the 3 wall shelves. They are zigzag and come with books and a cute frog or a hippo. The only item I was a bit disappointed with is the Heart cushion pillow. The only thing a Sim can do with the pillow is view it. After careful consideration of this new stuff pack, Iâ€™d have to say it a very good pack with a good variety of objects. This pack compliments the last stuff pack, Kitchens and Baths Interior Design, quite well. I also think that it will be a great pack to own when the next expansion pack comes out, Apartment Life. Written at 01:56 on Sunday 6 July 2008 by MissWendy.